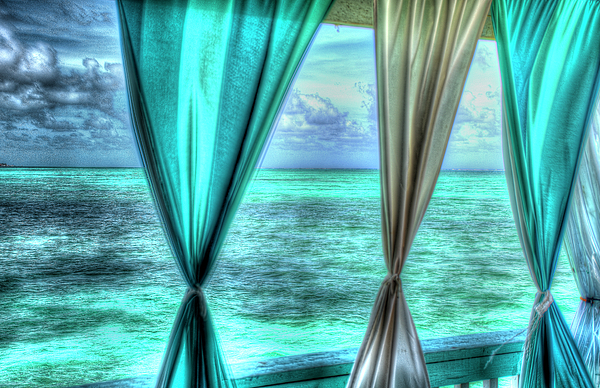 There are no comments for Belize Curtains #1. Click here to post the first comment. 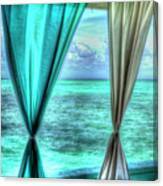 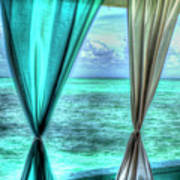 Turquoise blue curtains gently blowing in the tropical breeze. Blue ocean and blue sky frame this image.